Philippines: Waging War on the People by Montreal-based filmmakers Marie Boti and Malcolm Guy follows the story of Dr. Constancio Chandu Claver, an indigenous community leader from the Philippines who survives an assassination attempt that takes the life of his wife. Alyce Claver is one of over 900 civilians, including students, workers, peasants and even a Bishop who have been assassinated in the Philippines since 2001 when President Gloria Macapagal Arroyo came to power. The military and the police are clearly implicated and a climate of total impunity reigns. This is “war on terrorism” Philippines-style. While community groups and progressive forces raise their voices in protest, the government continues to enjoy the backing of the international community and particularly the Bush administration. 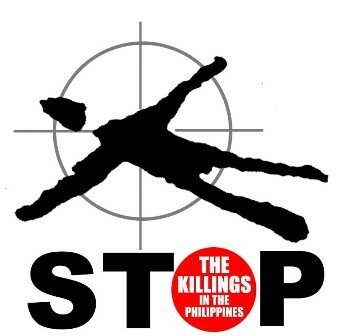 The international campaign to Stop the Killings in the Philippines is gaining ground. In 2007 a Canadian Church and NGO-sponsored tour brought over Philippine church representatives, human rights workers and Dr. Chandu Claver. This event is part of the KAMALAYAN Filipino Konsciousness Series, a series of events for Filipino youth, running from Fall 2009-Spring 2010, focusing on Philippine history, politics and issues. Kamalayan is a Tagalog word meaning “consciousness”. This entry was posted on February 4, 2010 at 6:03 pm	and is filed under Educational, Events, Kamalayan Series. You can follow any responses to this entry through the RSS 2.0 feed. You can leave a response, or trackback from your own site.